During his training time at Manchester United, Italian Giuseppe Rossi revealed that he had lunch with Sir Alex Ferguson and something surprised him. As an Italian player who had a bright future ahead of him, striker Giuseppe Rossi has enjoyed a fairly successful career and a big part of it is the guidance he had from legendary Sir Alex Ferguson. The Italian player has been training with the Red Devils under manager Ole Gunnar Solskjaer, who recently confirmed that the club is not really looking to sign him during the transfer window but they are delighted to have him on the squad. Rossi grew up through the Manchester United youth academy thanks to Sir Alex Ferguson’s decision to sign him from Parma when he was a teenager, but he was sold to Villarreal in 2007 so he could continue his career as a professional. Rossi holds no grudges with the Scotsman, he actually revealed that both of them had lunch together recently and he was surprised when the former manager spoke to him about the time when he was sold to the Spanish club. Rossi was stunned when Ferguson even revealed the sum of money that the ‘Yellow Submarine’ paid for him, as he never imagined that ‘Fergie’ would remember. Giuseppe Rossi entrenando con el primer equipo del Manchester United. Pero… ¿Por qué? Os lo explicamos en este hilo. During an interview with Sky Sports, Rossi revealed this story and what he is expecting from the transfer window. “I had breakfast with him at Carrington the other day,” Rossi told Sky Sports. “It’s great to see him in high spirits and great to see him just being about here on the football field.” “I just love this game,” he added. According to the Citizens' Bernardo Silva, the league title will be decided on Wednesday as Manchester City and Manchester United face off. The Italian striker has been getting ready in order to find the best possible destination in order to continue his career, he is only 31-years old and he truly believes that there is still a lot of roads to cover in the veteran years ahead. During his best years as a professional, Giuseppe’s best years were undeniably at Villarreal and then he also made a big impact while playing for Fiorentina. Rossi played all of last season for Genoa but he hardly participated in the club’s Serie A season, something that pushed the board of directors to not renew his contract for one more year. The latest gossip was placing Rossi as a possible transfer for Mauricio Pochettino’s Tottenham Hotspur, but the North London club hasn’t mentioned anything in public about the chances the Italian has of playing for Spurs for the rest of the season. Rossi has also been linked to several MLS clubs, but he considers that such a decision should come when he doesn’t feel like he can perform at the highest level and he is already thinking about retirement. We will obviously keep you all posted about what Rossi decides in regards to his future. 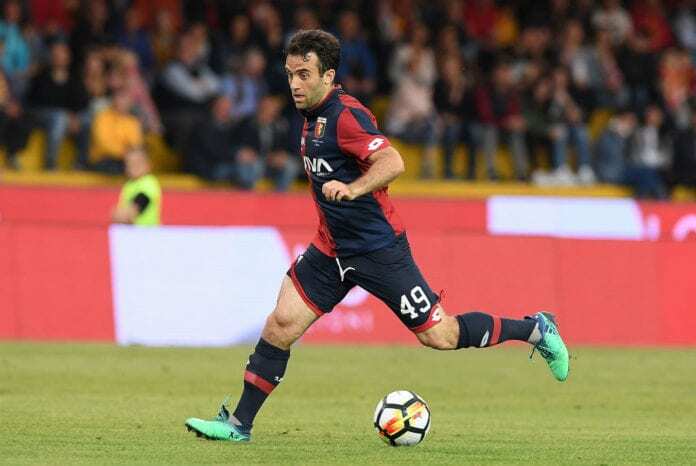 Where would you like to see Giuseppe Rossi play next? Please share your opinion in the comment section down below.